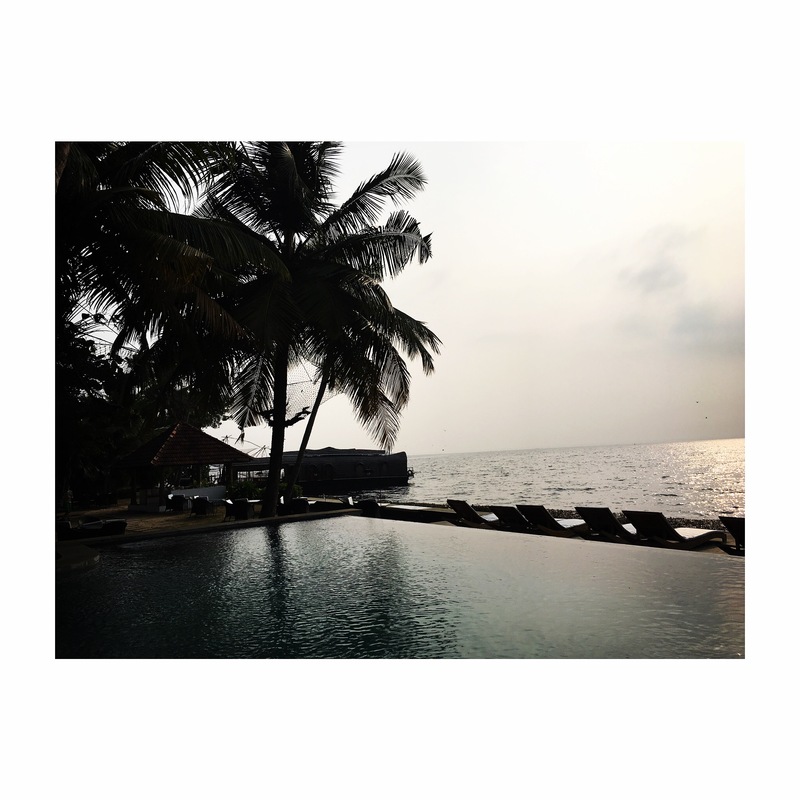 Kerala and the coast of Malabar sound like a promise. It is a land of lush greenery, unusual landscapes with green tea plantations, breathtaking views and a place where you can see backwaters, an unique landscape in the world. 14 days / 11 nights package with Terres de Charme, specialized in tailor-made trips including a private chauffeur available during the whole stay: 3495 € per person. Daily flight Paris / Mumbai – Mumbai-Cochin with the Indian company Jet Airways, departing from Paris: from 470 € in economy class and 2658 € in business class. Free meal choice when checking in economy class. Less than 20 cottages perched on hillside, overlooking tea plantations. One of the best cuisines of the entire stay …Daily morning yoga. A hotel of the CGH Earth group: charm, comfort, perfect service and environmental ethics for these lodges scattered in a park with hundreds of essences and monkeys in freedom. Swimming pool, tennis court, morning yoga and restaurant à la carte. One of the most sailing boats on the lagoons, with only two rooms on board, a cook, a captain and a butler available. Sublime contemporary hotel overlooking Lake Vembanad for resting. One of the most beautiful spas of the trip, with ayurvedic consultations and infinity pool. Member of Relais & Châteaux. 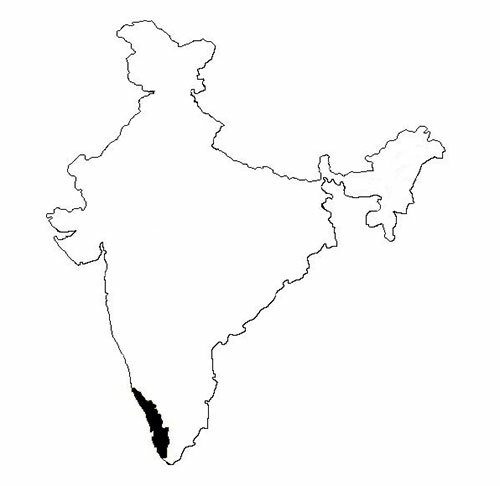 In the extreme south of the country, Kerala draws its wealth in the Arabian Sea on one side and in the landscape of the western ghats on the other. Starting point ? Fort Cochin. Symbol of the alliance between the dynasty of the Rajputs and the Portuguese monarchy, it is the India of the old territories, the one that Vasco de Gama discovered in 1498. An enclave that has kept all the charm of the old colonial buildings and the folklore of Chinese plaice at sunset. Fishing nets that offer to the onlookers the ritual of a traditional catch. In the daytime, it is rather the engines of the rickshaws that pace the city, wandering from Jayanti to the Jewish quarter, crossing smoking stalls, utensil dealers, Hindu temple and warehouses, the sublime Pradesi synagogue and the Dutch Palace (former residence of the Dutch governors, transformed into a museum). Fort Cochin is also a crossroads. THE Indian spice hub in India, which supplies a third of the world production. With, as a guest, the MG1, the best quality of Malabar pepper. Today considered the best in the world. We take this opportunity to buy some spices: cardamom, ginger, cinnamon, curry leaves …. Before heading to the the countryside. 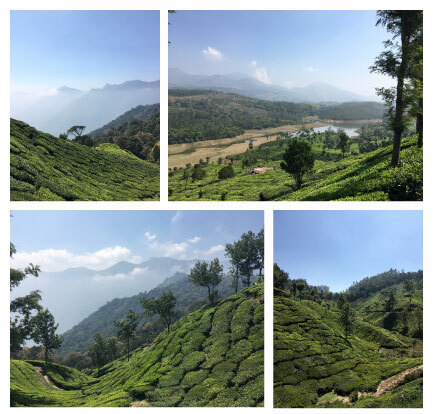 Head to Munnar Tea Plantations. For miles, the hills of Nilgiri (the blue mountains) are covered with terraces cultivations, between 1500 and 2000 meters of altitude. Some are considered as the highest in the world. We hike here after the morning yoga session, an indissociable ritual of this Ayurvedic region of India. Burners offer visitors the opportunity to learn more about fermentation and drying processes, and to understand the differences in quality. The ultimate experience? Visiting this place during the flowering of neelakurinjis, which covers the fields of tea with ​​a blue color. An event that is renewed every 12 years only. Next meeting ? 2018, lucky you! Head to the highest point between Kerala and Tamil Nadu: Mount Anamudi (2695 m), which dominates the Eravikulam National Park and home to one of the largest surviving colonies of Asian elephants. If you fail to undertake its ascent, you can go to Top Station, like most locals on a Sunday visit. This is a unique point of view on the whole chain of ghats and from which we can watch the highest peak of South India. 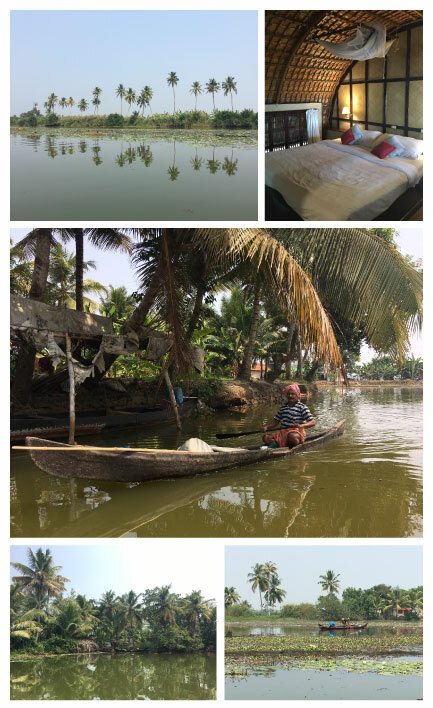 Last step of the journey and not the least exotic one: sailing along the backwaters. A natural curiosity that attracts both young Indian honeymooners and foreigners. This coast along the Arabian Sea has consolidated its wealth around a vast network of waterways, which have long been the only trade routes from North to South. In total, there are 41 rivers and canals covering nearly 1,800 kilometers, which today are the theater of a live show for nearly 2000 houseboats. These traditional rice boats have been converted into small, floating hotels with fewer than 10 rooms, and they greet village houses accessible only by water. We watch the everyday life scenes and the picture of a traditional India, soft and languishing finally captured in our memories. Contrasting with the widespread image of a country bubbling, multicolored but exhausting.